A warm, modern holiday home with expansive town and sea views. Private, quiet, yet central. It is easy to relax in the home and setting. 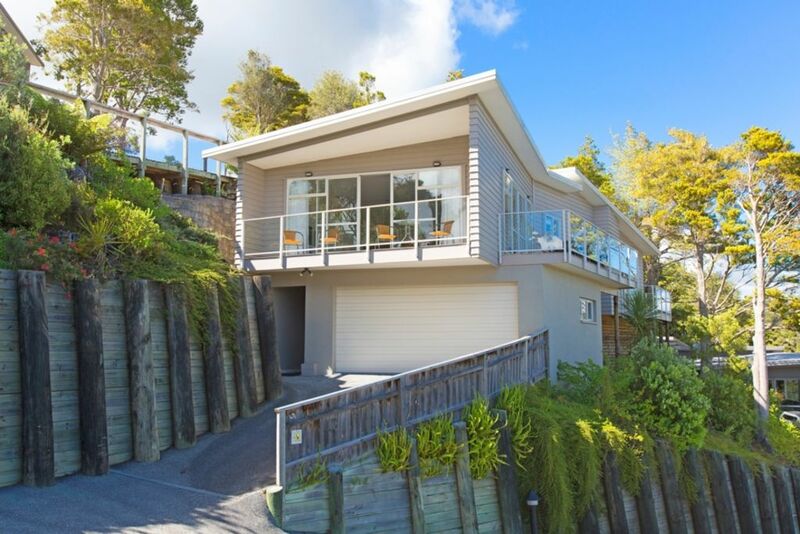 Paihia town is a 6 min walk to restaurants, beaches and amenities. No parking hassles! There’s all day sun. The spacious open plan layout makes great indoor/outdoor flow as the kitchen, dining and lounge lead onto two outdoor sunny decks with great views, outdoor furniture and BBQ. The home is family friendly. The master bedroom has an ensuite and its own deck with great private sea views from in bed! There are quality furnishings throughout. It has a well-equipped kitchen and things you would expect like a TV/home entertainment system, the internet, DVD's, books and games. There is a double garage with internal entry and safe roadside parking opposite the home. If you have a boat, there is inexpensive, secure boat storage close by. Karen and I live in the home when we are not caravan camping or travelling overseas. A fall off a horse a few years back luckily left me with a second chance at life. This helped force me to live more in the present and be grateful for what we have. Now I work less and spend more time trying to improve the environment. We like the feel of this small town. The tourists help give it a holiday feel and because of the visitors, we have lots more restaurants and other shops that we otherwise wouldn't have. We bought our home because it is sunny, spacious and has great views. It has a relaxing feel, like I am permanently on holiday, even though I am not. I love all the decks. Also, it's secluded yet it is a short walk to go to the beach, restaurants, shops and ferry. Two car. Long 4x4 vehicles may not be able to park inside. Beautiful house and well presented. Everything you needed was including brollies. I would recommend this house to everyone. We absolutely loved our stay. So spacious, great and safe for small children- the heat pump was a lifesaver too. Very comfortable, very clean, close to town. Will definitely be back.. 100% recommended! Absolutely loved the stay. Great position and very good equipment level. Stylish and comfortable. Slightly tricky entry for car. Great views.